Holt, Norfolk is one of those towns that you can wander around for ages, just enjoying the small hidden yards which are full of little independent shops and cafes, or browsing in the galleries and antique shops, get completely carried away (if you’re like me) in Bakers and Larners or spend your time eating in one of the many tea rooms, cafes, wine bars or pubs. 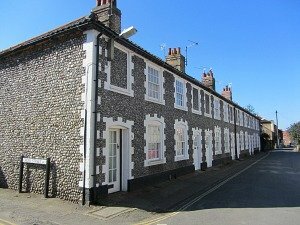 It’s a really pretty Georgian town with so many beautiful flint stone buildings, hidden yards and Georgian facades for you to enjoy. Whenever you read about Holt, you’ll read about The Great Fire. So it has to be mentioned here for one reason; the fire destroyed most of Holt. Why is that significant? Well it was then rebuilt with Georgian architecture and thus has become one of the best loved Georgian towns in Norfolk. 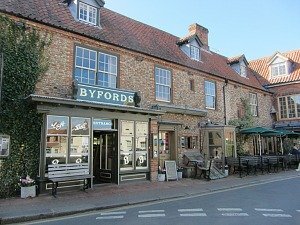 Byfords, the café and deli in the middle of Holt survived the fire and is thought to be the oldest building in the town, and the Norman church of St Andrews managed to escape too, although its thatched roof caught fire, but was repaired and still stands today on the edge of the town. Interestingly, it’s believed that if the fire hadn’t destroyed Holt, then it would now look like the Suffolk village of Lavenham, full of incredibly beautiful medieval timber houses. 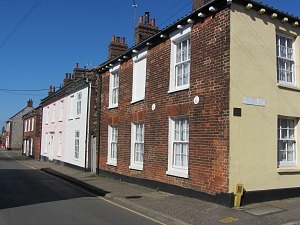 However, Holt isn’t to be outdone, and the attractive and pretty Georgian architecture can easily be seen all over the town, along with some very typical Norfolk flint stone. 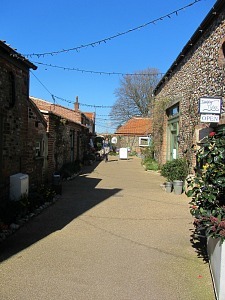 Holt, Norfolk is one of the best towns to visit for shopping if you want something a little different. You won’t find many chain stores here, and this is one of the things that makes Holt such a lovely town to visit. It’s full of wonderful independent shops, small and large. I can’t name them all, there are just too many, but one I must mention is Bakers & Larners. 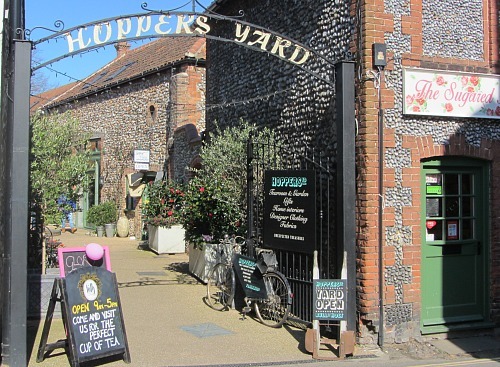 This is just a treat – it’s one of the larger shops in Holt, but it’s almost like a little mini Fortnum and Mason with its “food hall”, wonderful kitchen shop and lots of other lovely little things in store for you. 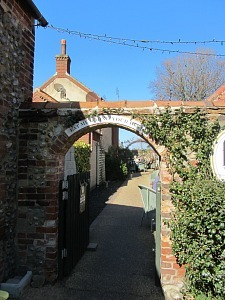 As you meander around the narrow streets, you’ll discover the “yards” hidden away. Most of these are home to cafes, shops, galleries and antique shops. 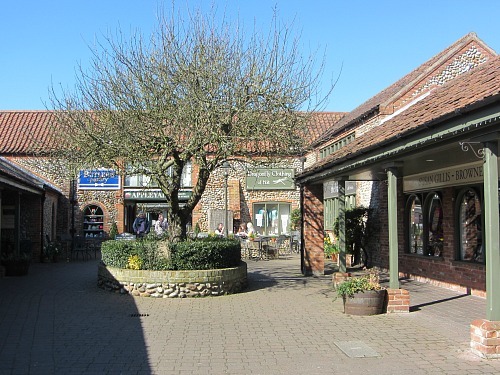 If you’re after boutiques or bakeries, antique shops and galleries, you’ll be guaranteed to find it here in Holt. 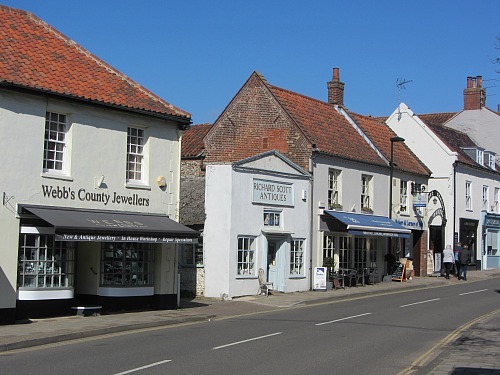 Shopping in Holt is a completely different experience to shopping anywhere else! But beware, most of the shops are shut on a Sunday. 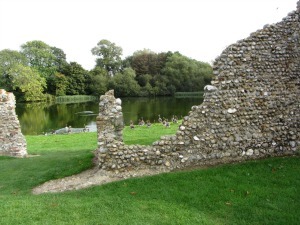 Holt has 4 hidden pretty flint stone yards which you’ll come across as you walk around the town. These apparently were originally Victorian houses, but now they accommodate shops and tea rooms, as I mentioned above. 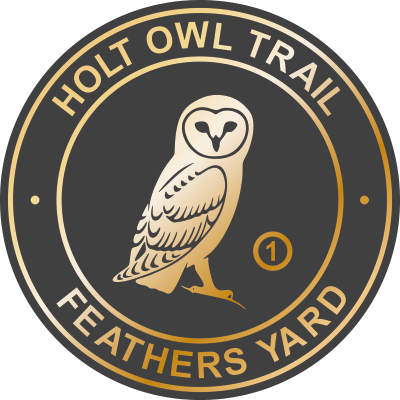 You can actually find out much more about the yards and historic houses by following the Holt Owl Trail (see more about this below). If you love all the old Yards and the Georgian architecture and you're interested in the history of the town, then you'll love to hear about one of the town's initiatives, the Holt Owl Trail. 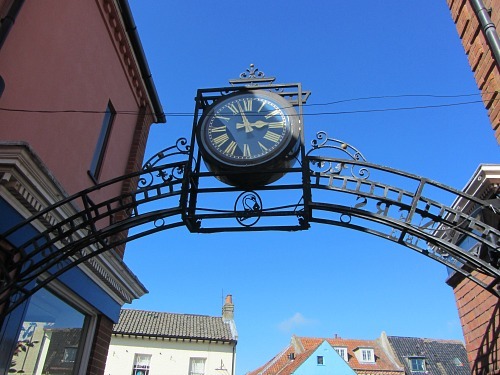 This trail is specifically designed for you to be able to wander around the town in a circular loop following 24 informative plaques on the history of each building, monument, sign, street, clock and so on. To find out more detail about each plaque, click over to the Holt Owl Trail website here. 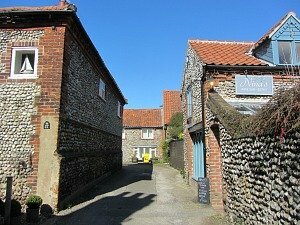 There are so many historic buildings and "Yards" in the town, this is a great way to become more familiar with this very special North Norfolk town. You can download the map here. These plaques were installed in December 2017 as a project associated with Holt Town Council, Holt Chamber of Trade and the Holt Society and make for a fascinating trip to the town. There are many places to eat in Holt. 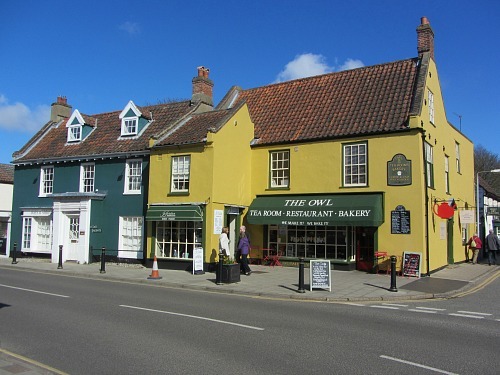 Lots of cafes, tea rooms, wine bars, a few pubs and restaurants; you certainly won’t be stuck for choice when deciding where you want to eat. Again, there are just too many to mention, and you’ll discover them all as you walk around. 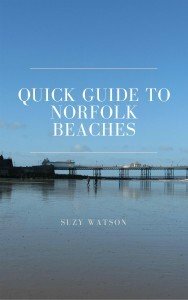 The same goes for places to stay in Holt Norfolk ranging from B&B’s to pubs to hotels. 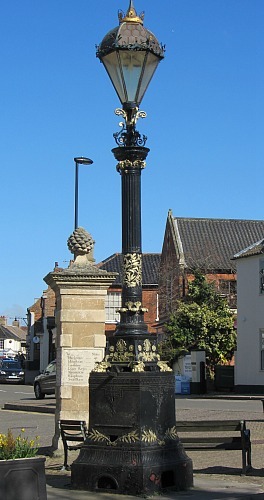 A bit like the Great Fire of Holt, I can’t talk about the town without also explaining the history of the obelisk which stands at the entrance to the town (where the A148 meets the High Street), and the gas lamp which stands right next to it. The obelisk was one of a pair of gate posts that was moved from Melton Constable Park, a short distance from Holt Norfolk. But if you go and have a look at it, it’s rather splendid, with a pineapple on the top and mileage written below for the surrounding towns. But of course having been moved, all these distances are totally wrong! Amusingly, the other gate post was given to Dereham, who didn’t want it and dumped it in a deep well where it still stands today (I’d love to know where abouts!). And placed right next door to the obelisk is Blind Sam, a Victorian gas lamp which was given to the town to celebrate the jubilee of Queen Victoria in 1887. 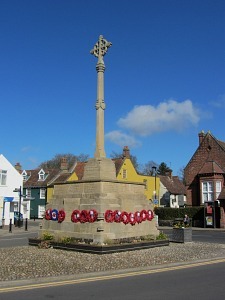 It used to stand in the Market Place, at the other end of the town but was moved to make way for the memorial stone which now stands there. It was named Blind Sam due to the fact that the gas light from the lamp was very temperamental. It was powered by the gas supply from the town, which at the time was rather unreliable! Both of these are on the Holt Owl Trail too! Holt is the stopping point for the North Norfolk Railway line, also called the Poppy Line, which is a heritage steam line running from Sheringham to Holt, stopping off at Weybourne on the way. It's a fantastic experience to have a ride on these steam trains, it really takes you back in time. It was originally the Midland and Great Northern Railway line which opened in 1887, and closed in 1964. But in 1965 the line was restored and the North Norfolk Railway was born. 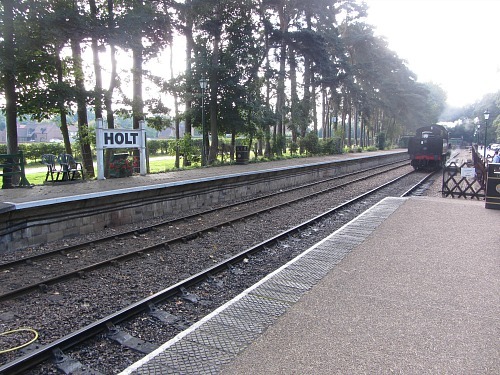 If you take this train and arrive at Holt, you can then catch the special bus which will bring you into the town before you catch the train back again to Sheringham. 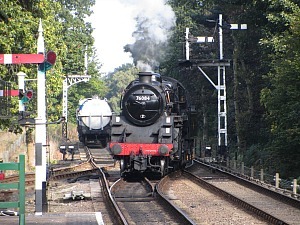 It’s a really lovely steam train line, and you can read much more about the North Norfolk Railway here. 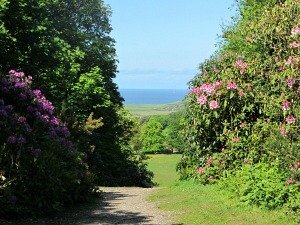 If you visit Holt and you feel like a bit of a walk, then I would suggest you head over to Holt Country Park which is about a 5 minute drive from the town. 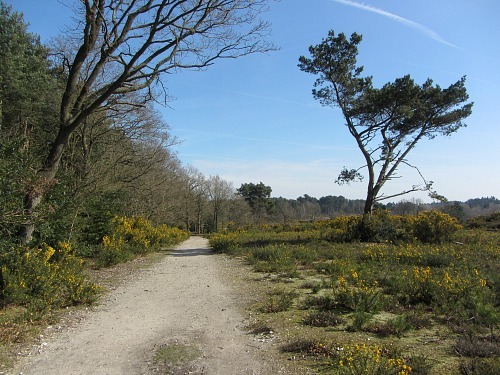 It’s a lovely woodland and heathland area with colour coded walks to suit everyone, including cyclists and dogs! You’ll find more about Holt Country Park here. And even closer to Holt is Spout Hills which is common land maintained by Holt Town Council. There’s a lovely write up about Spout Hills here. 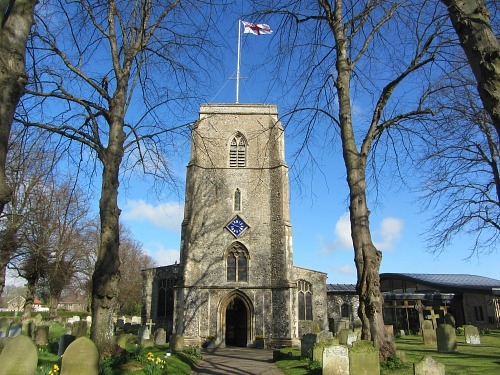 So Holt Norfolk is a real treasure of a Georgian town near the North Norfolk Coast and one that is a bit of a treat to visit!